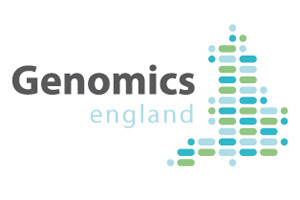 The UK hit a major milestone yesterday after Health Secretary Matt Hancock announced that Genomics England sequenced its 100,000th genome. First launched in 2012 under then Prime Minister David Cameron, the 100,000 Genome Project had ambitious plans to map the genomes of NHS patients to deliver treatments for those with rare inherited diseases and cancer. The end game was to make the UK a leader in genomic medicine within five years, and according to health secretary Matt Hancock, the project delivered on that goal. He said: “Sequencing the 100,000th genome is a major milestone in the route to the healthcare of the future. From Crick and Watson onwards, Britain has led the world in this amazing technology. The project is headed by Genomics England, which was set up by the Department of Health and Social care back in 2013, with the Secretary of State being the only shareholder. The company worked collaboratively with the NHS to launch NHS Genomic Medicine Centres (GMCs), which recruited participants for the project. These participants allowed scientists access to DNA samples for analysis, which were then sent off to Illumnia, a gene specialist biotech that was commissioned to sequence the collected DNA. The sequenced genomes were then returned to Genomics England for further analysis, and the data was subsequently passed back to the patient’s doctor. Due to the personalised nature of genome sequencing, one in four patients with a rare disease received a diagnosis for the very first time. Meanwhile for cancer patients, the project provided actionable findings for up to 50% of participants, resulting in the opportunity to partake in a clinical trial or receive a targeted therapy. The project is far from over, however, as Hancock recently revealed the next goal is to sequence a million genomes, extending the range of diseases that it will cover. He added: "I’m incredibly excited about the potential of this type of technology to unlock the next generation of treatments, diagnose diseases earlier, save lives and enable patients to take greater control of their own health." Plans are also well underway to roll out a routine genomic testing service under the NHS next year. If all goes well, the UK could be a world leader in personalised medicine, which would help make the country a more attractive destination for global talent. In light of recent reports, attracting and retaining global talent post-Brexit is an area of concern for the UK life sciences sector. Recently, the UK’s biggest biomedical lab The Francis Crick Institute released data from its Brexit survey, and the results showed that half of its staff are more likely to seek positions outside Britain after the country leaves the EU.